It is time to be in full spirits and turn up to your best self, as Gudi Padwa is right around the corner. There is nothing to shy off or even hold your excitement because Gudi Padwa also spelt as Gudhi Padwa or Marathi New Year's early preparation is the most awaited time of the Hindu festivity. Hence, the enthusiasm is too real. The vibrant festival, Gudi Padwa 2019 falls on Chaitra Shukla Pratipada, the first day of the bright fortnight of the Hindu lunar month of Chaitra. 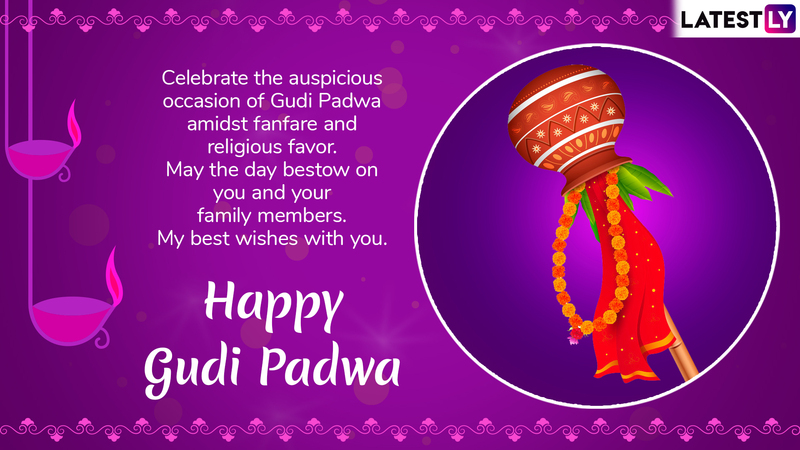 As the Marathi New Year 2019, is fast approaching, the tradition of sending advance Gudi Padwa greetings has become significant. 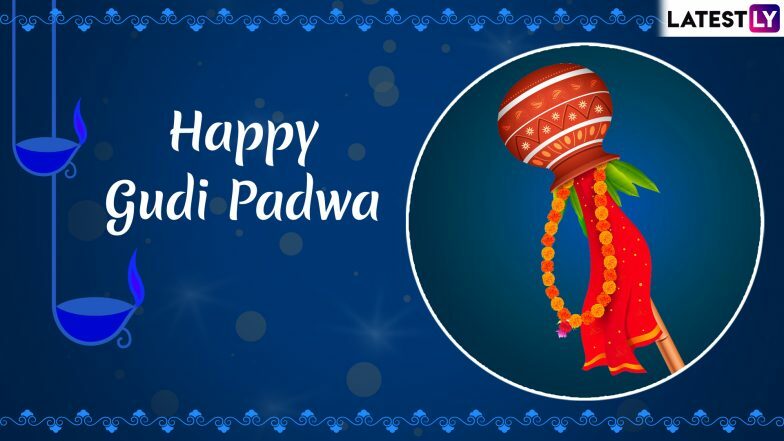 In this article below, we have accumulated Gudhi Padwa 2019 wishes and images, along with some super handy GIFs that you can use in advance with no regrets and share them with your dear ones through Facebook, WhatsApp and other social media platforms. Date, Significance & History; Here’s Everything You Should Know About Sindhi New Year. Gudi Padwa is a springtime festival that marks the traditional new year for Marathi Hindus. Gudhi means flag, erect flag on the houses as part of the celebration. 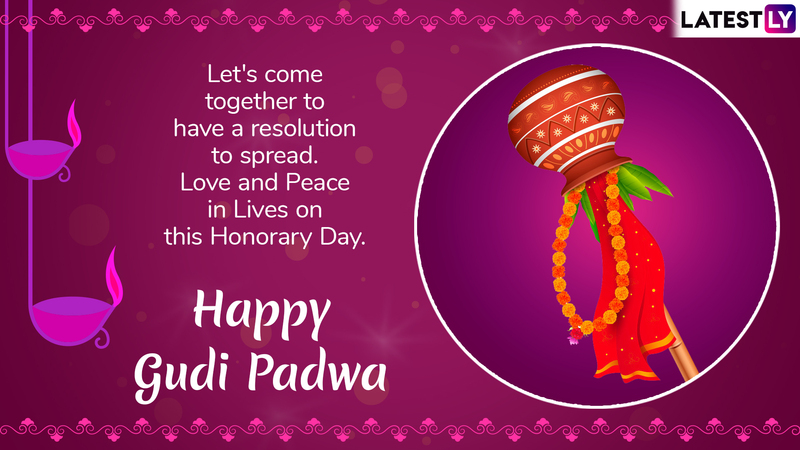 The word, 'Padwa' is derived from the Sanskrit word, 'Pratipada', which refers to the first day of a lunar fortnight. 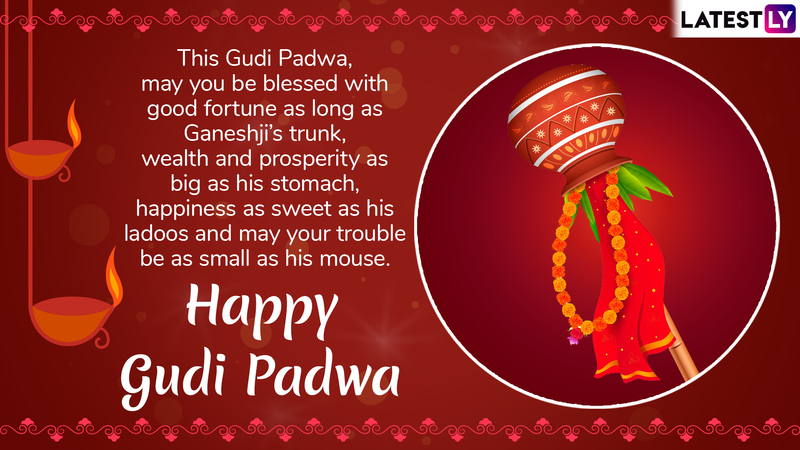 This year, Gudi Padwa or Marathi New Year will be celebrated on April 6, and the early preparations of the festivity can be seen in every corner; especially in Maharashtra. 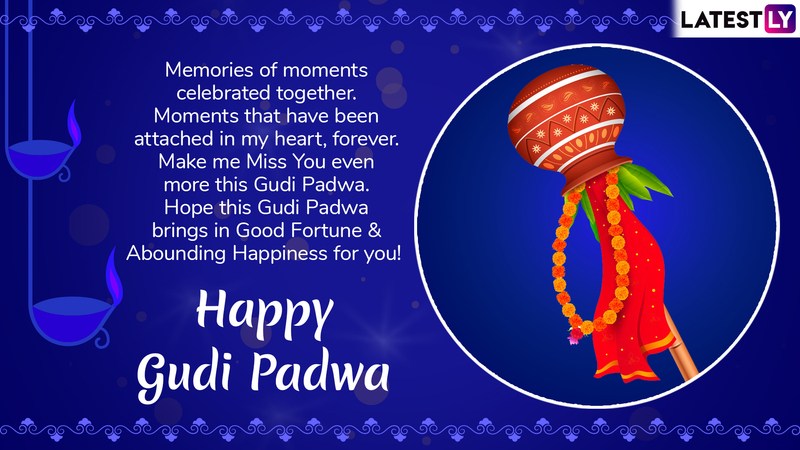 Since, the advance merriment has begun, share these 2019 Gudi Padwa greetings and make this Marathi New Year, another wonderful time to cherish a lifetime. WhatsApp Stickers, SMS, Durga Devi Photos, GIF Images and Messages to Send Happy Navratri Greetings in Advance. Share the above advance Gudi Padwa advance greetings 2019 with your friends and family to wish them a healthy and prosperous year ahead. Gudi Padwa is observed by making colourful floor patterns and decorations called rangoli, a special Gudhi flag (garlanded with flowers, mango and neem leaves, topped with upturned silver or copper vessel), street processions, dancing and delicious festive foods.